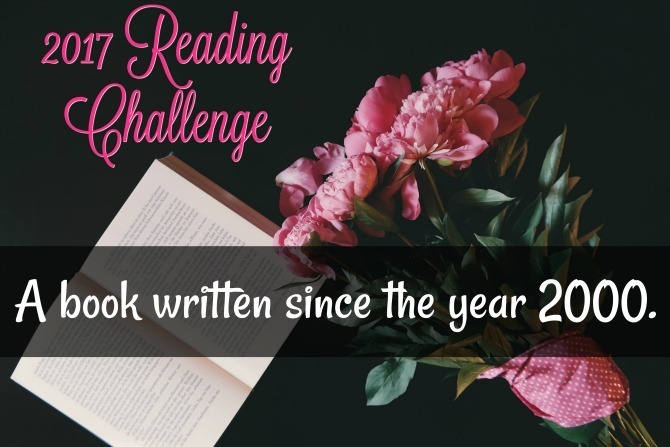 2017 Reading Challenge: A book written since the year 2000. We did it! We made it through our journey through literary history! At the start of the year I set out to read one book from each decade of the twentieth century, as well as one book published before 1900, and one published since the year 2000. I set this challenge in order to push me out of my own comfort zone of reading mostly recently-published books. I hoped the challenge would be the nudge I needed to to finally experience some classics that I’d never quite gotten around to reading. And it worked! Here’s a quick recap of the books I read for this challenge, with links to the original reviews. This challenge was meant to be about more than the individual books themselves. 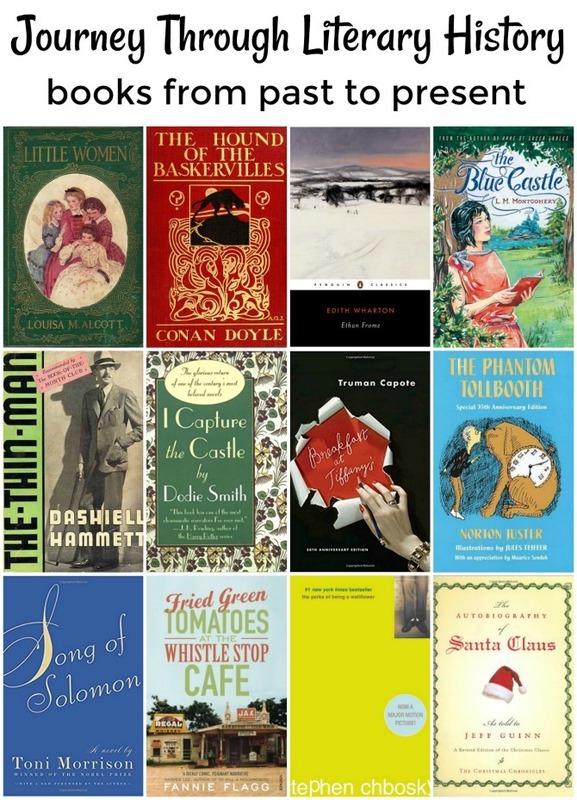 I knew that in framing my challenge as a “journey through literary history,” my focus in reading these twelve books would be turned towards noticing changes in literary styles over time. And I certainly did notice some significant shifts. Writing styles became less formal and more personal. Plotlines became more intricate, themes more nuanced, characters more complex. As times changed, so did audiences; literary tastes became more refined and books catered to specific readers, relinquishing aspirations of universal appeal. Despite these changes, some things have remained the same. Readers have always loved good stories, well told, and nearly all twelve of the books I read from across the century checked these boxes. I enjoyed some more than others, but the experience as a whole was an enlightening and enjoyable one. 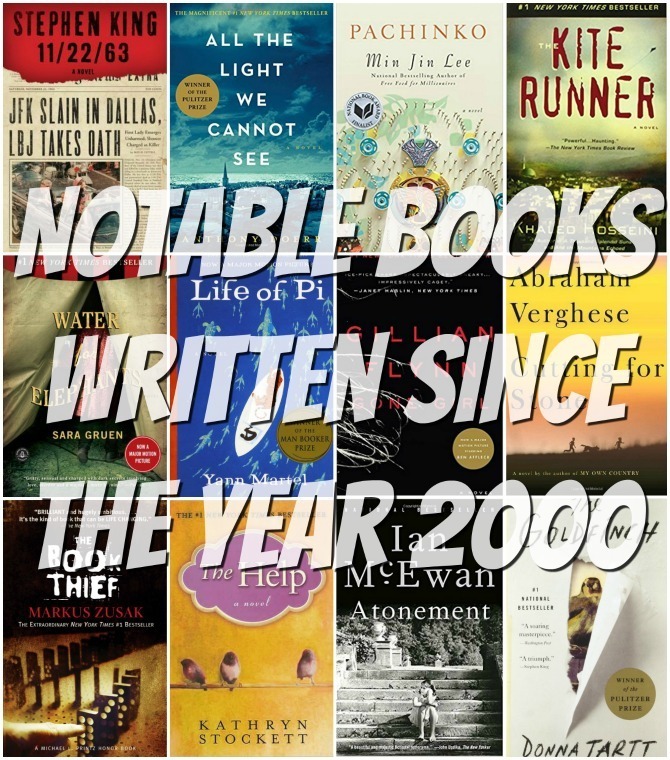 One would assume that my selection for this final Challenge category—A book written since the year 2000—would be the easiest. We (or at least I) tend to read books that are currently getting a lot of attention, and the focus is generally on books that are hot off the press. So this category is where I already spend most of my reading time. The selection should have been made even easier thanks to the enormous array of book options available: we live in an amazing time for literature where books exist for every reader—from dramatized ghost stories based on historical figures to YA poetry inspired by racial divisions, no premise has gone unexplored, no single reading audience has been left wonting. My library was my oyster. . . and somehow, I messed it up! Let me explain: because this category would be checked off in December, I knew that I wanted to read a book with Christmassy vibes. 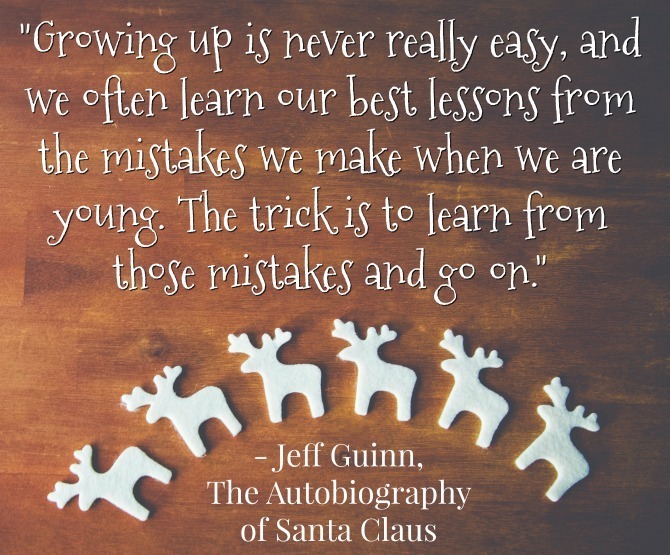 My thoughts immediately went to The Autobiography of Santa Claus, a book that had been on my TBR for quite some time. Goodreads told me that it was published in 2006: Perfect! Written since the year 2000, but not too recent. So I declared this Christmas tale as my Challenge book for December. I read the book, typed up (the original version of) this blog post. . . and then went to confirm the book’s publication date to compose the below image. Only then did I discover that The Autobiography of Santa Claus was FIRST published in 1994! What an epic fail on my part! 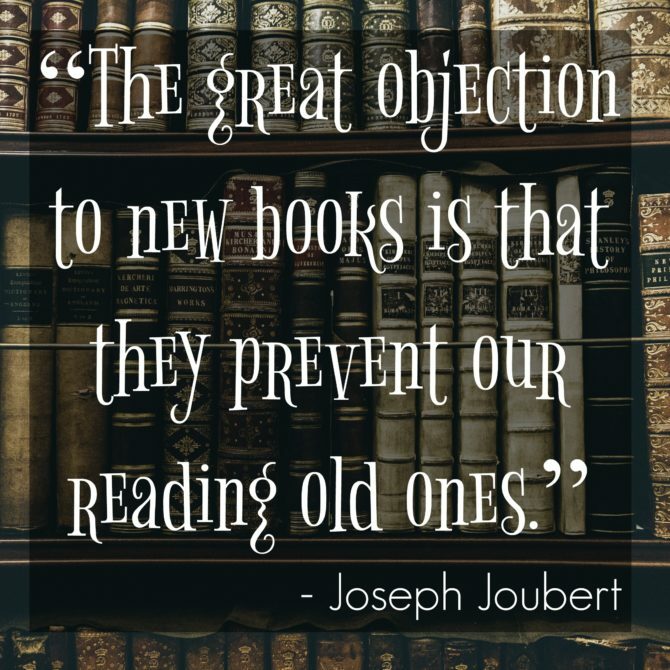 I could have returned to square one, chosen a new book or even just “used” one of the numerous other recently-published titles I’ve read in the past month for this category. Instead, I’m deciding to go with it. The edition I read of this book was reissued in 2006, so it’s not totally cheating. I have to admit that discovering this book was written in the 1990s made SO much sense. There were a few themes (such as fat phobia) that were more prevalent in that decade than they are today, and the folksy tone was much more 90s than millennial. More evidence for the 90s release date? I’m not sure that such a blatant celebration of this “consumerist holiday” would be as popular for contemporary audiences, who claim to crave a more minimal approach to Christmas. That’s not to say that today’s readers wouldn’t enjoy this book (I did! ), but I don’t know that it would have the appeal it did when first published. At this point, you’re probably ready to hear about this book so here we go! 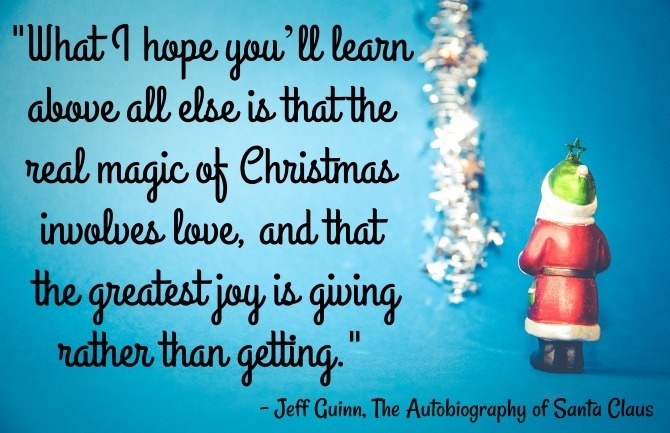 This ingenious seasonal tale begins with an introduction of how Santa contacted author Jeff Guinn and asked for his help in sharing the true and complete story of his life. The remainder of the book is told in Santa’s voice and chronicles his life from the time of his birth in Turkey in 270 AD, through the present day. Santa shares the details of his origins as a bishop who secretly gave gifts to deserving children at nighttime while they slept. Even after he was thought to have died in the year 343, Nicholas—as he was called then—continues to live a life of benevolence, traveling around the world to bestow gifts on children everywhere. Along his journey he encounters a number of prominent historical figures, many of whom decide to join him in his mission to spread goodness and generosity. As his reputation grows, so does his ability to do good throughout the world and to ignite joy in the hearts of children everywhere. The Autobiography of Santa Claus isn’t necessarily a children’s book, though it would make for a marvelous family read-aloud. The book beautifully answers every child’s questions about Santa: how does he manage to deliver gifts to so many children on Christmas night? Does he really slide down the chimney, and what makes the reindeer fly? Why does Santa go by so many different names, and why doesn’t he visit some children? What really goes on at the North Pole? Santa satisfactorily answers these questions and more, making a believer out of the most skeptical reader. Despite its subject matter, this is so much more than a book for children. It is a joyful and surprisingly factual celebration of Christmas and of history. Though some facts and characters are obviously fictionalized, I appreciated the book’s tendency toward historical accuracy. Guinn capitalizes on every opportunity to incorporate factoids from history—many relate to Christmas as it has been celebrated through the centuries, but there are lessons on other events too. 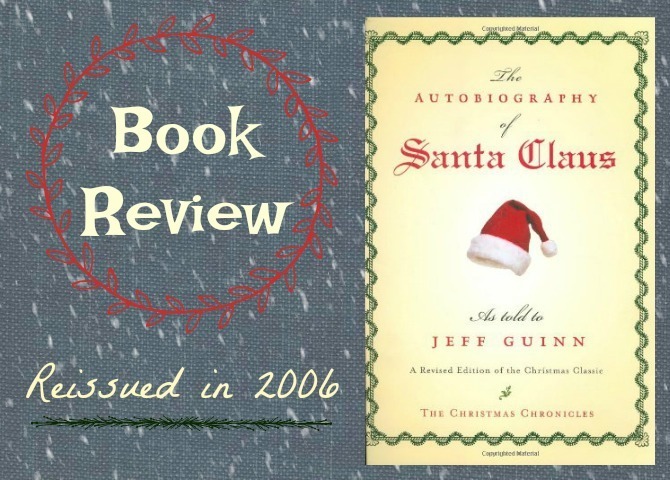 Much to my surprise, The Autobiography of Santa Claus proved to be an excellent refresher course on everything from the creation of the Gregorian calendar to Columbus’s expeditions. It was a hoot to see how Santa managed to show up at significant points in history: joining ranks with King Arthur, accidentally advising George Washington in the Revolutionary War, influencing the works of Charles Dickens and Clement Clarke Moore . . . . Atilla the Hun becomes one of Nicholas’s very first assistants, and Leonardo DiVinci singlehandedly creates a sleigh for Santa and designs headquarters at the North Pole. It it all a bit cheesy? Sure, but it’s so fun—and fits together so well—that I didn’t mind one bit. After all, we are all a bit more forgiving at Christmastime. I could have done without the political correctness and moralizing, but I have to admit that it sort of worked with Santa’s jovial (but sometimes morally superior) narration. My only other qualm was the frequent derogatory references to Santa’s weight. Throughout the book, other characters make snide comments about Santa’s fatness, which was unnecessary and not at all fitting with the book’s positive tone. Despite this, The Autobiography of Santa Claus was a delightful read and the perfect way to cap my 2017 Reading Challenge. The Help, by Kathryn Stockett (published in 2009) <– One of my favorites of all time. 11/22/63, by Steven King (published in 2011) <— Another favorite of mine. Gone Girl, by Gillian Flynn (published in 2012) <— Not for everyone, but I loved it. All the Light We Cannot See, by Anthony Doerr (published in 2014) <— Beautiful and powerful. I have had so much fun with this reading challenge; thanks for traveling with me! I’m looking forward to diving into a totally new and different challenge in 2018—stay tuned for details!